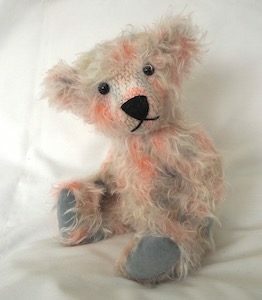 This is the beautiful Evelyn. 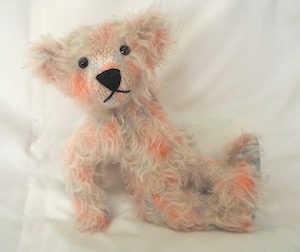 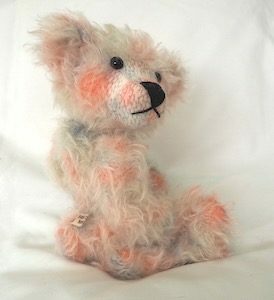 She is made from a beautifully hand-dyed 15mm whispy mohair in a mix of soft pink, cream and grey colours on a cream mohair, and she is a neat 11″ (28cm) tall. 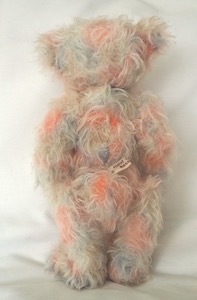 She is entirely hand-sewn in this fine mohair, which is so soft! 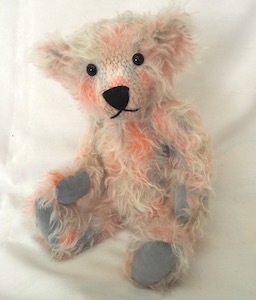 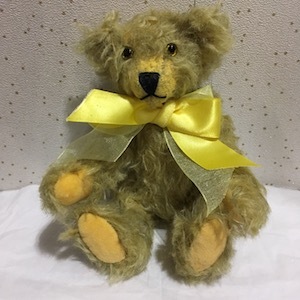 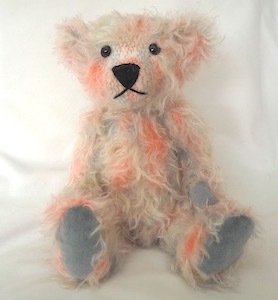 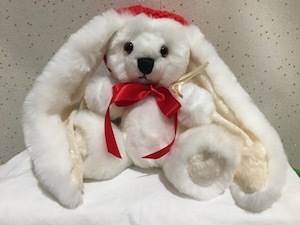 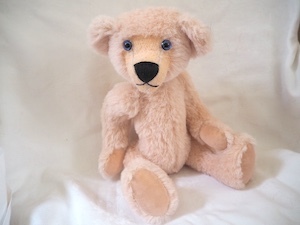 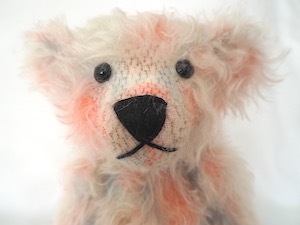 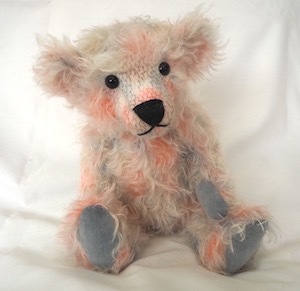 Her pads and paws are made from a soft grey cashmere complimenting the colours of her fur.. She is traditionally made with fully jointed limbs and head and has beautiful bright black button English glass eyes and is nicely stuffed for you to cuddle.